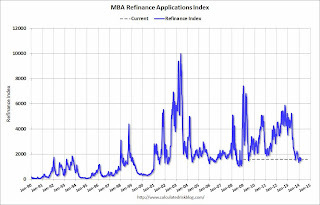 The average contract interest rate for 30-year fixed-rate mortgages with conforming loan balances ($417,000 or less) increased to 4.52 percent from 4.47 percent, with points increasing to 0.29 from 0.28 (including the origination fee) for 80 percent loan-to-value ratio (LTV) loans. The average contract interest rate for 30-year fixed-rate mortgages with jumbo loan balances (greater than $417,000) increased to 4.41 percent from 4.37 percent, with points unchanged at 0.20 (including the origination fee) for 80 percent LTV loans. 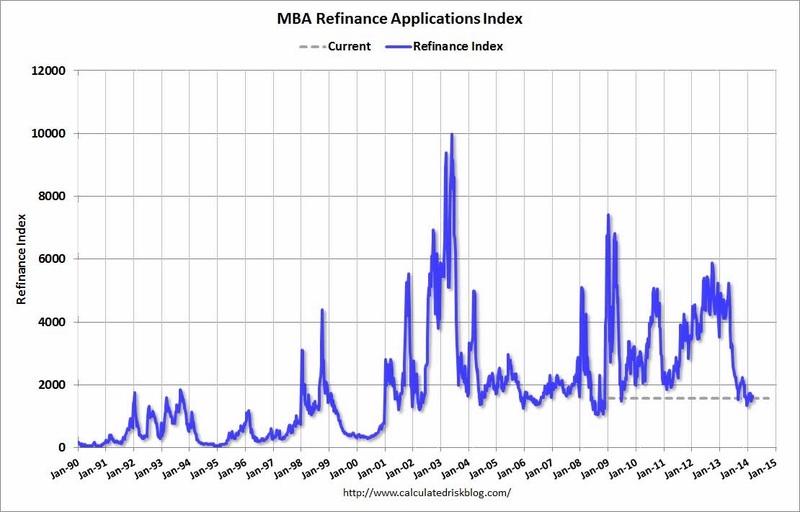 The refinance index is down 70% from the levels in May 2013. 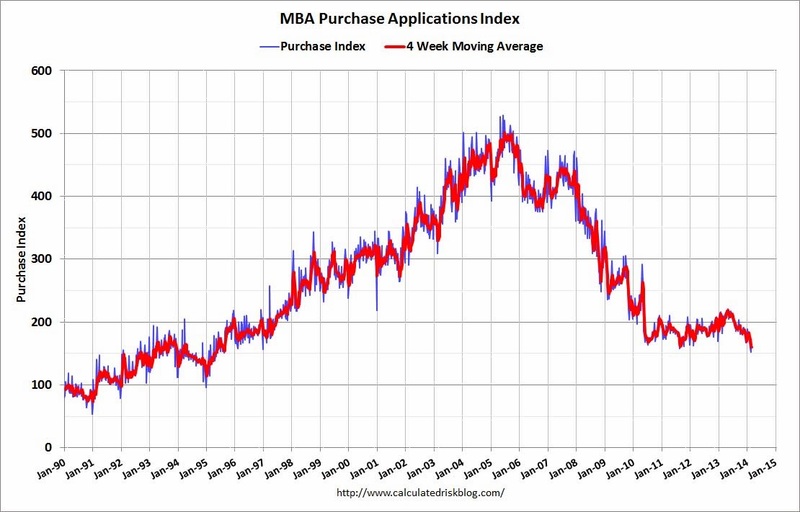 The 4-week average of the purchase index is now down about 18% from a year ago. 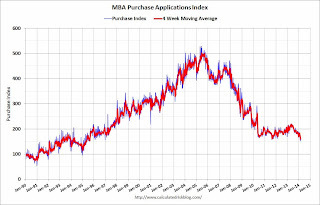 The purchase index is probably understating purchase activity because small lenders tend to focus on purchases, and those small lenders are underrepresented in the purchase index - but this is still very weak. Note: Jumbo rates are still below conforming rates.